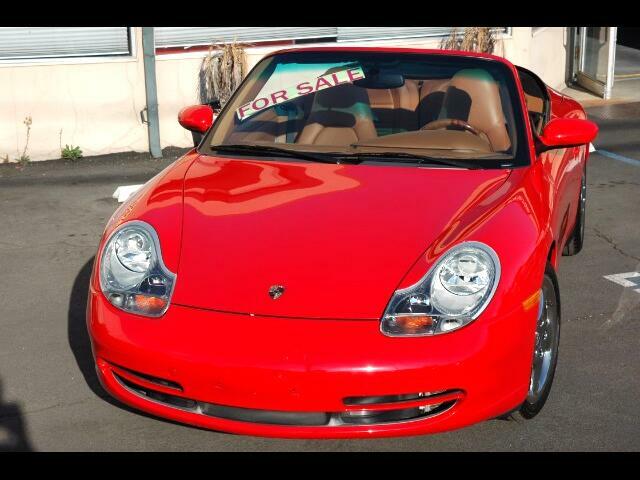 This 2001 Porsche Carrera 4 cabriolet with a red exterior and a tan full leather interior has only 31380 on the odometer and is a one owner Bay Area California car. The Carrera 4 is all wheel drive and has a 6-speed manual transmission. The owner wanted a very nice and unique Porsche and has ticked off just about every option that was offered from the factory. * Light Maple Burr Dash Appointments. * Light Maple Burr Center Console. * Light Maple Burr 3 Spoke Steering Wheel. * Leather Covered Ignition Lock Surround. Message: Thought you might be interested in this 2001 Porsche 911.